Thirsty Pilgrim: Not a Run of the Molen Place in my IJ. Not a Run of the Molen Place in my IJ. See Podge, I couldn't wait to steal your phrase. Damn if I didn't go ahead and give you credit for it. This is all a cheap segue into more of our Amsterdam adventures. 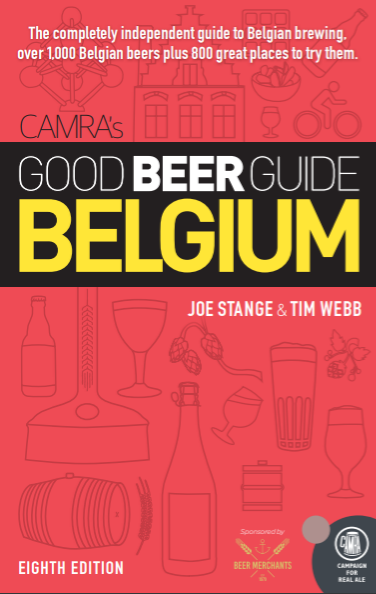 I'll cut right to it, for you poor souls who don't think "beer" when you think of Amsterdam. About 20 minutes walk southeast of the central train station is a windmill that looms over a small brewery. The brewery is called IJ, pronounced "eye" and named for the huge puddle that makes Amsterdam what it is and occasionally inspires me to sing like Brel and Bowie. Inside the brewery is a slightly shabby little pub that opens at 3 o'clock sharp. Reportedly this used to be a bath house for the neighborhood. Now it hosts a healthy mix of locals and tourists bathing their taste buds in fresh, creamy beer. Six of its beers were available on our visit. One of the most interesting was Struis, a tart and fruity ale at 9 percent strength. I believe the missus' favorite was the IJwit, a Belgian-style white beer with Hefeweizen leanings... bubble-gum and bananas in the nose, yum. My personal favorite was the lightest of the bunch, the Plzen. Grassy and bitter with a citric edge, very refreshing. We tried everything they had. You can see why I married her. Why she married me, I have no idea. If you take the family to Amsterdam, here's a scheme for you: Say you're taking them to see a real Dutch windmill. 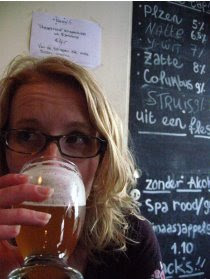 Then you get to drink nice beer and avoid the Red Light District too. Everybody wins. 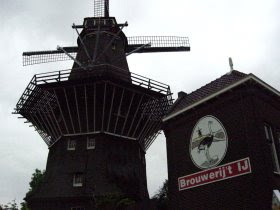 If you're prepared to travel a little further, there's another excellent Dutch brewery in a windmill: De Molen in Bodegraven. Well worth a visit, too.